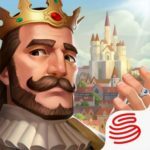 ONEMT’s new game for Android and iOS is called Revenge of Sultans, and it’s another way in which game makers are adding a twist to the usual massively multiplayer online titles that are very popular among mobile gamers. This is an epic RTS MMO, where your goal is to reclaim an ancient kingdom on the Arabian Peninsula. 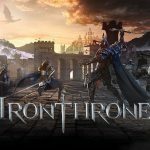 You have been tasked to take on this challenge, become the next king, and bring back peace and prosperity, though you won’t be alone out there – ONEMT adds that there are “more eyes on the throne than you can possibly imagine,” and that would mean other human players whom you’ll be engaging in tactical battles. And since the game is set in the Arabian Desert, there’s more to do than just fight opposing players – you can also go on monster hunts and explore ancient relics, while gathering resources. This is probably one of the first Middle Eastern-flavored MMOs we’ve encountered, and that in itself makes this quite a unique game. 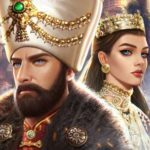 But that’s not the only twist included in this title, and with this list of Revenge of Sultans tips and tricks, our goal is to help you get started right in this game, while knowing what to do when you encounter these unique twists. A lot of things in this game would depend on the decisions you make; think carefully before you do anything in this game! But if you want to do a little less thinking while making sure your kingdom is properly updated, we suggest hitting the silver hammer, or tapping on the tips icon. That’s going to pull up the next upgrade the game recommends you should carry out. And if you’re the impatient type, take note that upgrades that take less than five minutes to complete can be expedited and done immediately without paying anything. It appears that more and more games are making gold, usually the boring, common currency, into their premium currency. That is the case in Revenge of Sultans, and in most cases, you will be able to buy gold at the app store for real-life money. But thankfully, there are ways in which you can win free gold. Completing the quests is one way, and while you won’t get too much gold at first, that currency will keep on adding up as you complete more quests. What’s in it for you if you level up in the game? For starters, you may have noticed that the land outside your gate is where your farms, lumber mills, and other resource-producing buildings would go. You’ll also notice that that’s where your tents go, may they be marching tents or first-aid tents. So how do you unlock more territory in this all-important part of the in-game world? It’s simple – just keep leveling up. You want to focus on unlocking more farms, as that’s going to allow you to feed more troops; the more troops you have, the more farms you’ll need. Like in many other MMO games, resources are a virtual free-for-all. They’re available to anyone, and that means available to your opponents, or your “enemies.” So to prevent your resources being stolen by other players, you should keep your resource boxes in the bag, and only activate them when you need them. If unused and in the bag, nobody will be able to get their hands on them, and if you use them, anyone would be able to raid them at some point in the game. Should we even be bringing this tip up? We believe we should, because it’s very important in games like this, and something you might miss out on if you’ve just started out in the MMO scene. You should join an alliance, and make sure that the alliance is active. Ideally, you want to join one before reaching Level 6, and once you’re part of an alliance, you can use the novice migration feature so you can bring your entire kingdom closer to those of you co-alliance members. 6. How Does The Single-Player Element Work In This Game? Well, we wouldn’t really call it a single-player mode, but there are some things you can do in the game that don’t require any interaction with real-life people. So in that sense, there are some things which you can do solo, such as testing your army out against mummies and monsters before unleashing them against other players and their armies. This is a good way to test your strengths and weaknesses before those high-stakes battles against human players. These would be our tips and tricks for Revenge of Sultans. Stay tuned, as we may add more tips to this guide in the near future! After 7 level of your castle your will unlock pyramid, you can use that copper coins to claim some surprise gift. Use copper coins in the pyramid which is close to the top right of your kingdom. Do novice migrations disappear over time or just when you upgrade your castle to level 6? You can buy blue or purple boxes, win them in events or combine the lower level materials (4 white = 1 green, etc) to get to purple. What do you do with steel? It doesn’t show anywhere on my game page except in my bag. You gain experience by killing monsters, taking part in events, attacking other players and basically participating in the game. As you gain experience your lord level increase and as you level up you gain attribute that can be applied in different area. im in alliance with a number of us at lvl 20 and we are unsure on how to participate in kvk .do we send troops to our laeder or the kingdom king? Or do we just attack castles in anither kingdom? 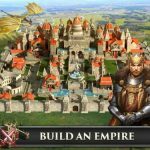 Best way to make your castle very strong? What are territory points and how do I figure out how many I have? That is process of changing our alliance leader??? Because our leader is sleeping on level 8.